Last week, a crowd of thousands gathered in Las Vegas to see the unveiling of a little object that could almost be mistaken for an innertube wearing a tutu. But there’s a lot more going on under this contraption than you might assume. It’s the MX-1 lunar lander, and it just might be the invention that brings private enterpise to the moon. The company behind the MX-1 is Moon Express, a NASA-partnered company founded in 2010. The company’s goal for the MX-1 isn’t just to walk away with $30 million of Google’s prize money. They want to use it to mine the surface of the moon and establish our satellite as Earth’s "eighth continent." In the company’s own words "we are going back [to the moon] often, and spending orders of magnitude less to do it." The platform they’ve designed to complete these missions is a highly versatile single-stage spacecraft that company insiders lovingly refer to as the "iPhone of space," with a wide variety of applications. Moon Express sees the MX-1 as capable of not only Lunar mining missions, but the clearing of space debris, asteroid defense cubesat deployment and even a refueling and re-positioning "space tug" for satellites. Using hydrogen peroxide for rocket fuel and capable of being launched from geosynchronous orbit, the MX-1 is definitely head and shoulders above the last craft NASA landed on the lunar surface. 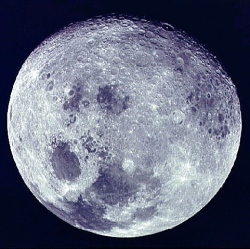 If Moon Express can do as they propose and land an MX-1 on the surface of the moon by 2015, it could usher in a whole new era of lunar exploration and habitation.